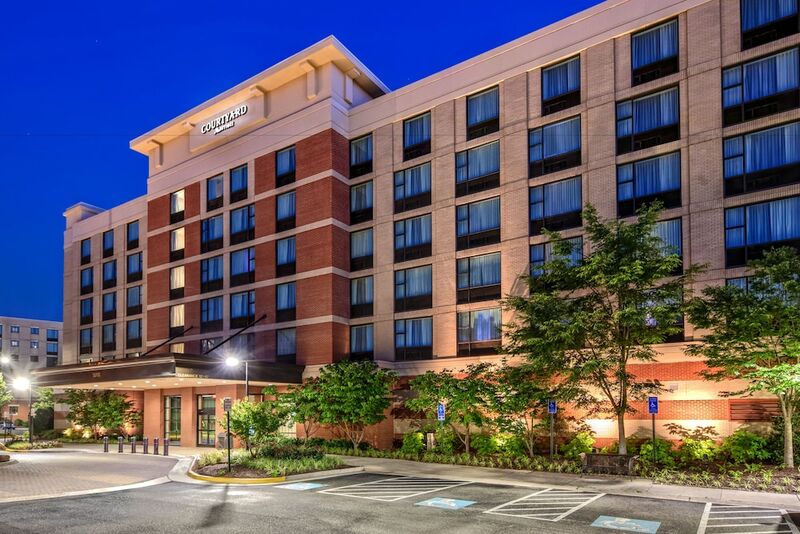 Located in Herndon, Courtyard by Marriott Dulles Airport Herndon is in the business district, within a 15-minute drive of National Air and Space Museum Steven F. Udvar-Hazy Center and Reston National Golf Course. This hotel is 4.9 mi (7.9 km) from Reston Town Center and 6.2 mi (10 km) from Sully Historic Site. Make yourself at home in one of the 185 guestrooms featuring refrigerators and flat-screen televisions. Complimentary wireless Internet access keeps you connected, and digital programming is available for your entertainment. Private bathrooms with showers feature complimentary toiletries and hair dryers. Conveniences include phones, as well as desks and microwaves. Enjoy recreation amenities such as a 24-hour fitness center or take in the view from a terrace. This hotel also features complimentary wireless Internet access, gift shops/newsstands, and wedding services. Getting to nearby attractions is a breeze with the complimentary area shuttle that operates within 3 miles. Enjoy a satisfying meal at The Bistro serving guests of Courtyard by Marriott Dulles Airport Herndon. Wrap up your day with a drink at the bar/lounge. Cooked-to-order breakfasts are served on weekdays from 6:30 AM to 9:30 AM and on weekends from 7:00 AM to 10:00 AM for a fee. Featured amenities include a computer station, express check-in, and express check-out. A roundtrip airport shuttle is complimentary (available on request).